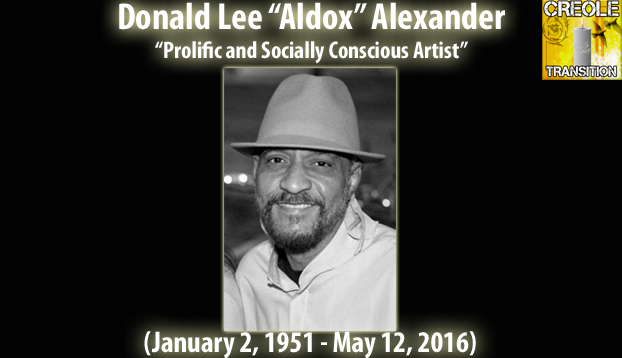 Donald Lee Alexander, aka "Aldox," passed away peacefully at St. Joseph's Hospice, "The Carpenter House" in Lafayette on Thursday, May 12, 2016, at the age of 65. Donald graduated from Paul Breaux High School in 1969 and attended Xavier University in New Orleans, Louisiana. 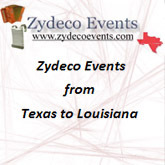 A dynamic, multi-talented musician and accomplished master painter, Aldox was recognized throughout Southwest Louisiana as a socially conscious, politically relevant artist. His paintings grace private homes and public venues, such as Immaculate Heart of Mary Church and St. Paul's Church in Lafayette, Holy Ghost Catholic Church in Opelousas, the Federation of Southern Cooperatives in Epps, AL, and the University of Louisiana-Lafayette Alumni Center, among others. He was honored to paint many iconic figures such as Rosa Parks, as well as Martin Luther King, Jr., the latter of which is exhibited in the Martin Luther King Jr. Center in Lafayette, Louisiana. Donald is survived by his wife Cheryl and her family; son, Tombu Mercier, and Tombu's mother, Stephanie Mercier of Lafayette; two brothers, Johnny Alexander and George Alexander, Sr., also of Lafayette, and their wives, Elizabeth Alexander and Theresa Alexander, respectively; a third sister-in-law, Mary Jane Alexander. Another son, Linwood Bonner and his two sons reside in Georgia. Donald is also survived his aunt, Rose Mary (Lester) Bruno, a host of nieces, nephews, other relatives, and friends. Aldox will be greatly missed by those who knew him. Donald was preceded in death by his parents Pierre "Peter" "Conay" Alexander and Bernadette Jolivette Alexander; brother, Harry Lee Alexander Sr.; paternal grandparents, Zeno and Alfreda Senegal Alexander; maternal grandparents, Adam and Adloskida Paddio-Jolivette, and step-grandmother Mary Angelle Alexander; uncles Tony, Gustiva, Hector and Jimmy Alexander; aunts Mary Jane Mouton, Hilda Bruno, Leola Celestine, Eugenia Bruno and Elita Duffy; maternal aunt Elby Jolivette, Helen Sonnier and Elida Siner; Uncles Emile Jolivette and Herbert Landry, Sr. The family requests viewing from 7-11:30 a.m., May 21, 2016 with Rosary at 9 am at Kinchen Funeral Home of Lafayette, Louisiana. Funeral services will follow at noon at Our Lady Queen of Peace Catholic Church in Lafayette, Louisiana. Reverend Aaron Melancon will be officiating the services and Donald will be laid to rest at Calvary Cemetery in Lafayette. Kinchen Funeral Home Inc., 1011 North Saint Antoine Street, Lafayette, Louisiana 70501 is in charge of arrangements.